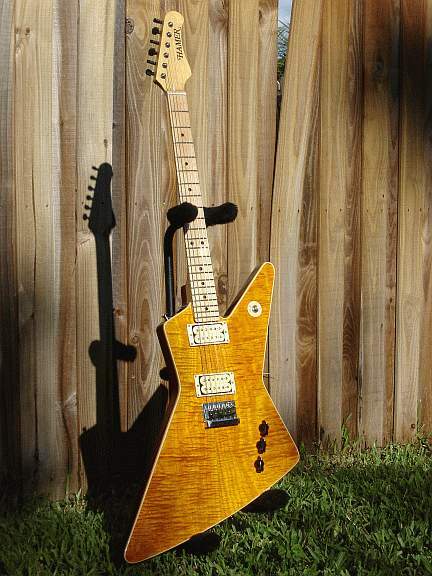 Gibson said it looked too close to their Explorer Model Guitar. 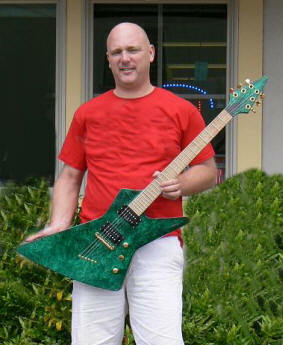 Hey what about Dean, Hamer, Ibanez, ESP, BC Rich & 50 other companies!!! Balance Better, Sound Better, Play Better, Hold Up Better, Weigh Less & Look Better Than Any Similar Guitar !!! Different inlays than Gibson, Made from Real Abalone * MOP "not plastic"
Neck Thru Body construction instead of tone-sucking glue on neck! He got away for a fraction of the cost. Gold Hardware, Planet Waves Tuners, Strings Thru Body. 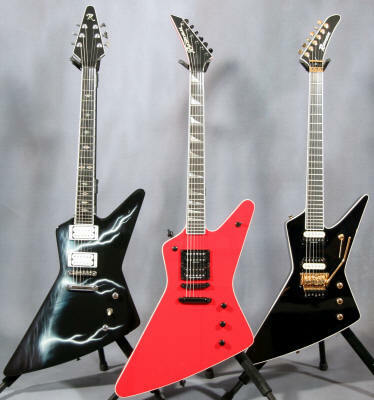 Notice that all these guitars are different, They are all hand made and they are all made to the specs the customer supplies us at the time of purchase. 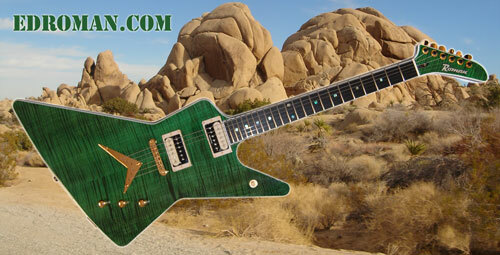 These are absolutely NOT cookie cutter machine made guitars!!! !